WINNIPEG, ON, April 8, 2019 / CNW / – Go Jets Go! As the Winnipeg Jets get set to host their first home game as part of the 2019 NHL playoffs, proud partner, Pizza Pizza, is already displaying tremendous signs of team spirit in the local community by participating in the tradition of the Winnipeg Whiteout. 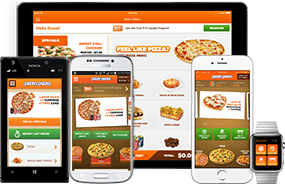 With 12 restaurants across Winnipeg, Pizza Pizza has been a household staple for Winnipeggers since 2009 and understands what gets the community excited; a huge part of that is the love for the Winnipeg Jets. With two days until the official start of the 2019 playoffs, Pizza Pizza has a special surprise to celebrate the home the sl-ice advantage and spread team spirit throughout the city of Winnipeg. Winnipeggers cheering their beloved Jets to victory will notice all Pizza Pizza locations have traded in their traditional orange for epic white. 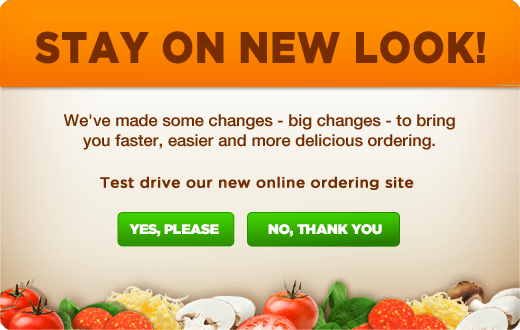 That’s right, in Winnipeg, white is the new orange, from icy-white pizza boxes to all-white attire, Pizza Pizza has had a total white makeover. In addition, Jets fans passing by Notre Dame Avenue & McPhillips Street will also see a massive billboard towering over the street with a message to the team saying, ‘Go Jets Go!’. Revealed today! 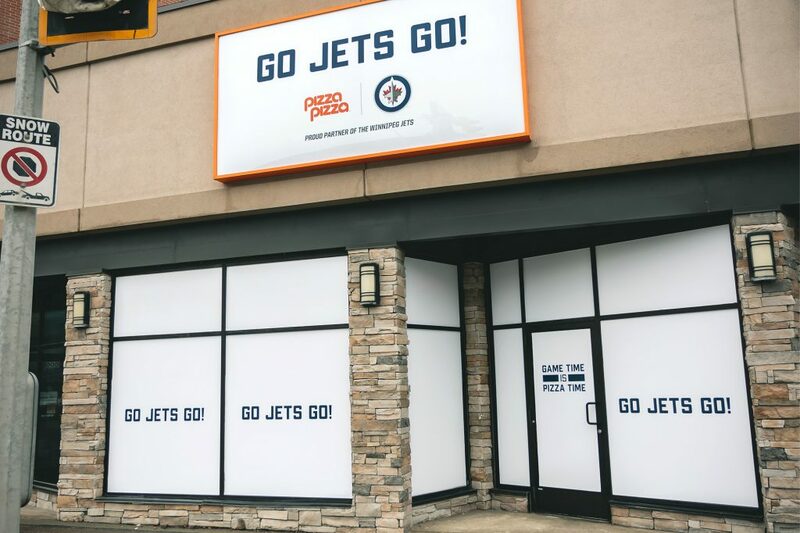 Customers visiting the Pizza Pizza store at Portage Avenue, near Bell MTS Place will be met in a face-off with the store’s all new look for playoff season – a frosted white storefront that cannot be confused with anything other than the Winnipeg Whiteout.